The last two weeks were very important for the lab. 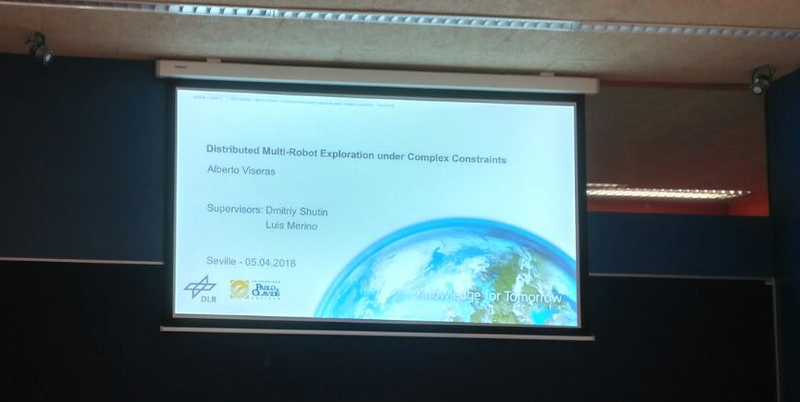 On April 5, Alberto Viseras defended his PhD Thesis: “Multi-robot Distributed Exploration under Complex Constraints“, co-supervised by Dmitriy Shutin and Luis. The thesis is a collaboration between the group and DLR in Germany. The committe was integrated by Simon Lacroix (LAAS, CNRS), Juan Andrade-Cetto (IRI-UPC) and Jesús Capitán (US). The thesis deals with active exploration in multi-robot systems when considering constraints like communications constraints and obstacle avoidance, using Gaussian Processes as models of the environment. The thesis involved a research stay of Alberto at ACFR in Sydney, and have led to several publications. 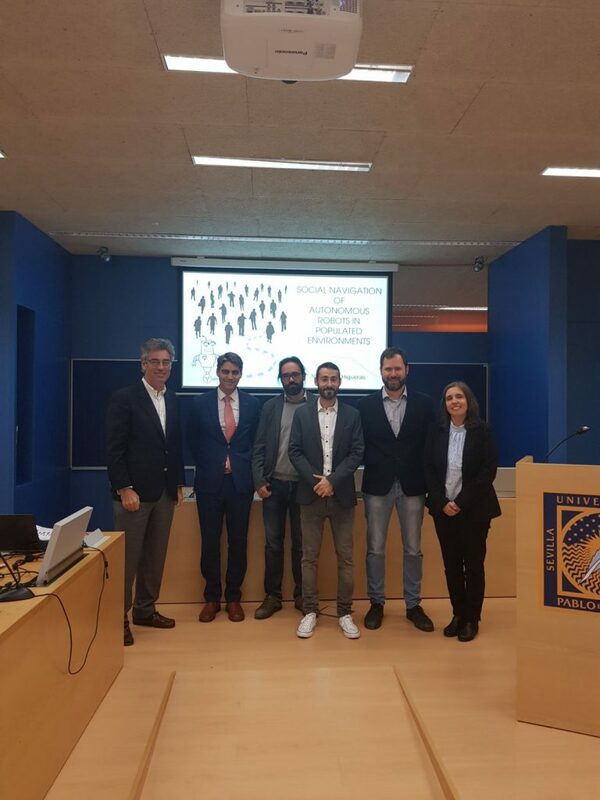 On April 9, Noé Pérez-Higueras defended his PhD Thesis: “Social Navigation of Autonomous Robots in Populated Environments“, co-supervised by Fernando and Luis. The committee was integrated by Alberto Sanfeliú (IRI-UPC), Brígida Mónica Faria (Polytechnic Institute of Porto) and Jesús Capitán (US). Noé’s thesis provide contributions to human-aware navigation of social robots. In particular, learning from demonstration methods able to work with motion planners like RRT*. The methods were tested in the real robots of EU Projects FROG and TERESA. The thesis involved research stays of Noé in the University of Twente and University of Amsterdam, and has led to several publications on these topics.